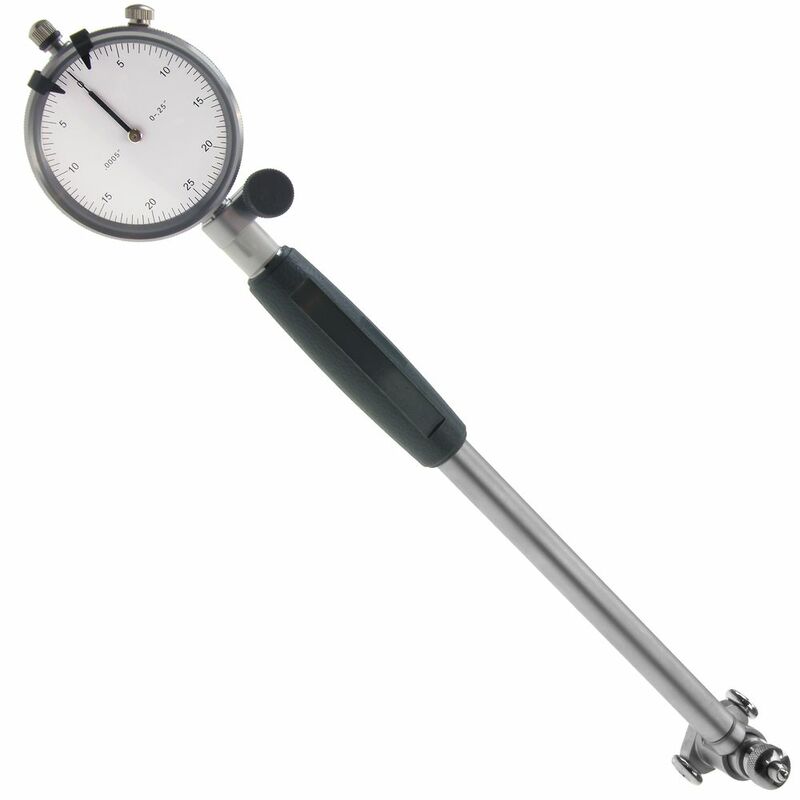 Deep cylinder bore gageing to a depth of 10" affords the user the ability to measure out-of-round conditions and tapers of cylinders without the necessity of removing pistons - critical wear area of the cylinder can be reached with this gauge. 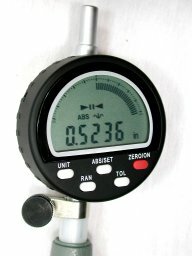 Super precision up to 0.0005" at range from 2" to 6"
We carry a complete line of dial and electronic bore gages. 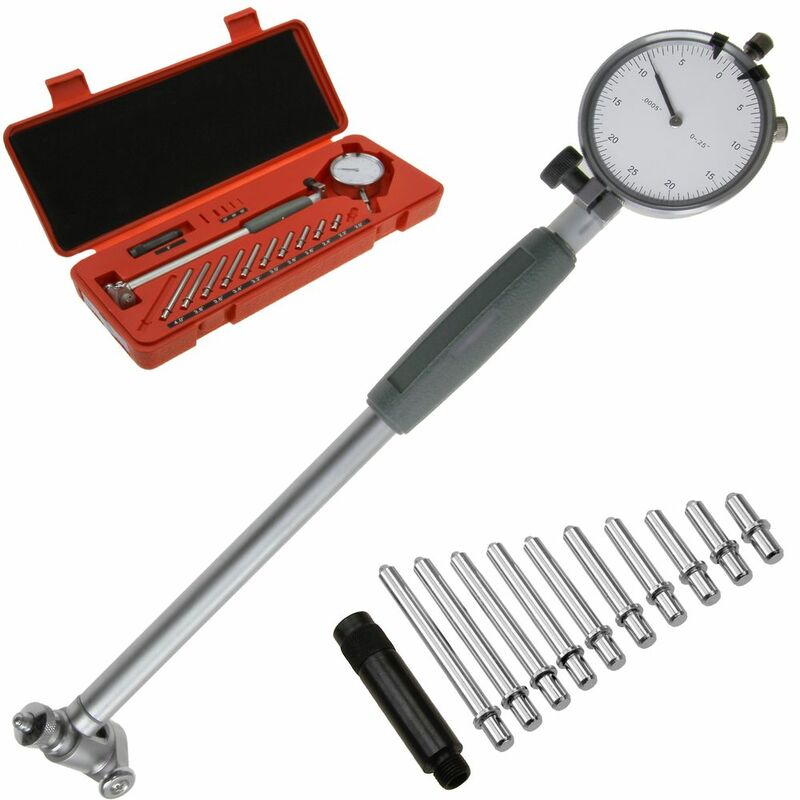 Search for the SKU corresponding to the range you need. 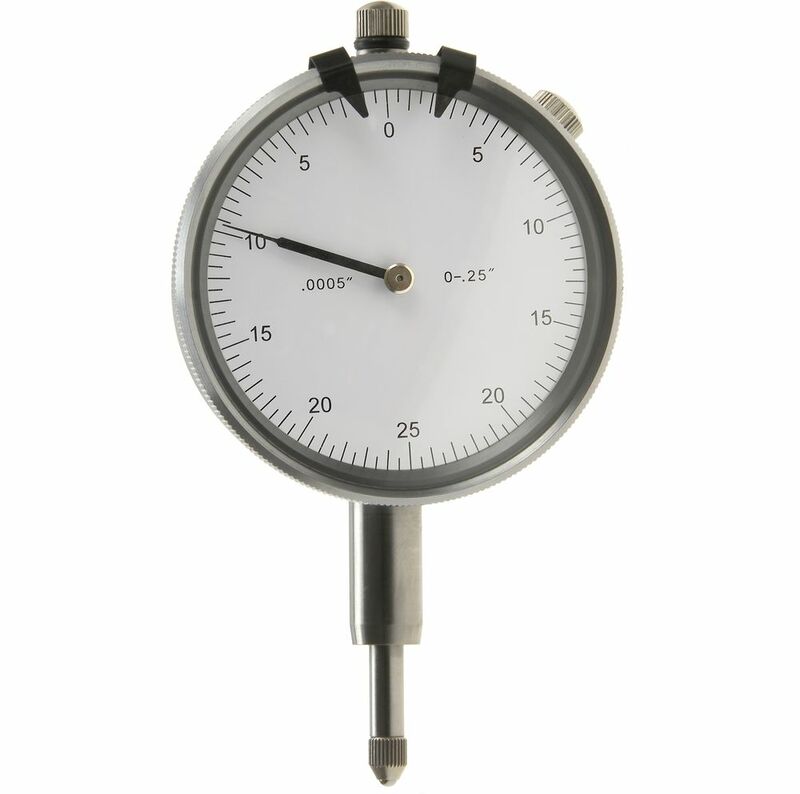 All of our bore gages can be fitted with a smart electronic gage. 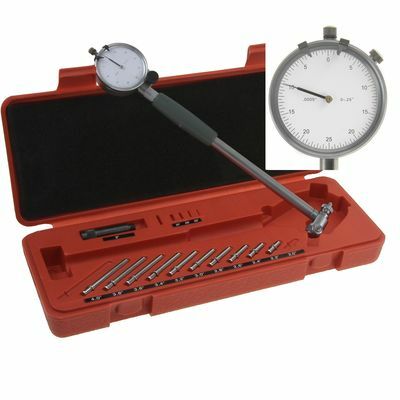 Search for SKU 203188 and add to your cart in addition to the bore gage range that you need. 0.4"-0.7" PRECISION CYLINDER HOLE DIAL BORE GAGE SET 0.24"-0.4" PRECISION CYLINDER HOLE DIAL BORE GAGE SET 0.7"-1.5" PRECISION CYLINDER HOLE DIAL BORE GAGE SET 2"-6" ELECTRONIC DIGITAL CYLINDER HOLE BORE GAUGE GAGE .0002"